This is a distinguised collectible edition of a classic adventure story. 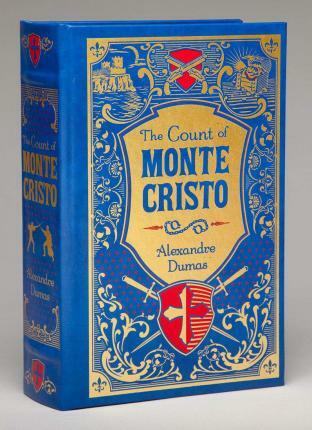 "The Count of Monte Cristo" is considered to be Alexandre Dumas' best work. This distinguished collectible edition features an elegant bonded-leather binding, a satin ribbon bookmark, distinctive gilt edging and decorative endpapers. It's the perfect gift for book lovers and an indispensable addition to any home library.